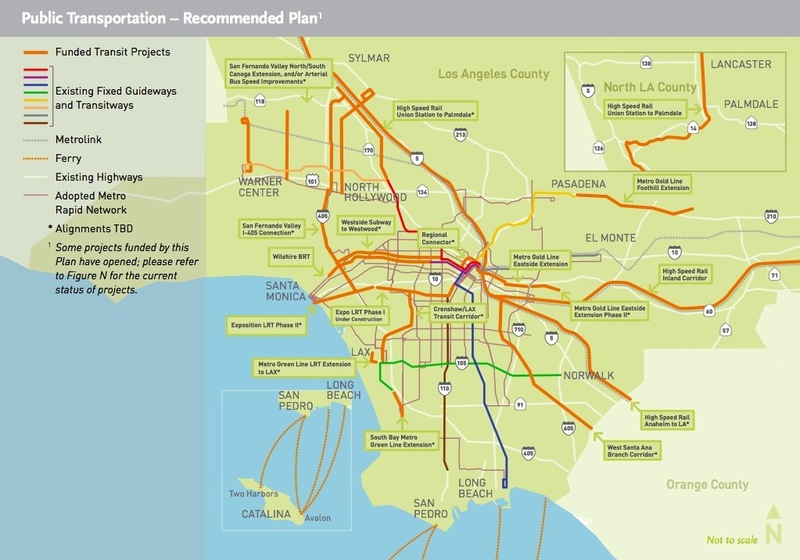 A map of transit projects from the long-range plan booklet. Click above to see a larger image. A 58-page color booklet of the long-range plan adopted by the Metro Board of Directors last October is now online. You can download or view a copy by clicking here. There’s nothing new in the document — but it’s a much more visual display of the plan for both the public and other public agencies.